Poll: Gold vs. Black Chevy Bowtie – Which Do You Like Best? 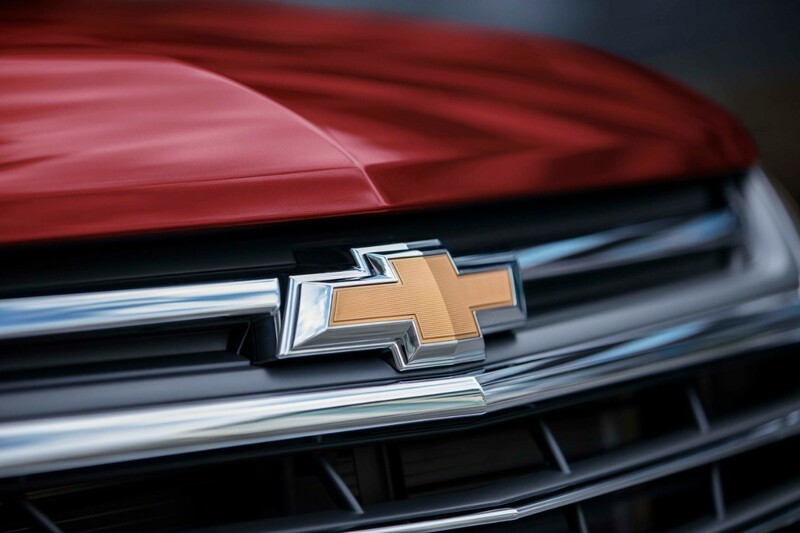 Since almost ever, Chevrolet vehicles have proudly worn the gold Chevy bowtie badge that has become synonymous for the Chevy brand. Today, the logo is recognized the world over. 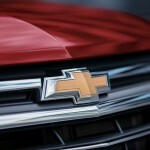 But a few years ago, GM introduced a black bowtie that’s now making its way across the Chevy lineup. The black Chevy bowtie simply replaces the gold with black, while keeping the shape and design of the former. All that brings us to the question of this week’s GM Authority poll: which do you like best – the golden Chevy bowtie, or its black variant? Vote in the poll below. Yes I remember Beware of the red Bow tie. Would love to see that on the Chevy performance vehicles. I was going to say the same thing. The black bowties with the red outlines are awesome!! those need to be on the Camaro and a new high performance silverado!!!!!! Plus there were hundreds on them on the metal dash. My 1968 Chevrolet pickups are red, chrome outline, heavy metal, and still original. The gold ones on my last truck were internally peeling and flaking so I replaced it to look good. So I really think as long as it is good quality it looks good gold or black. But I do like options so why not a few colors let people choose. Both have their place throughout the lineup. Gold for the standard sedans, coupes and chrome shod trucks, with the choice to option black. Black standard to the specialty variants or certain trucks. But above all, I think the trucks should come standard with the blue centennial bow tie. The blue would look good on all trims. Black bowtie all the way. I also like the old school blue bowtie that they have been putting on trucks for the 100th anniversary. I’ve seen red frame bow ties. I’ve seen blue frame bow ties. I’ve seen chrome frame bow ties. I’ve seen black field bow ties. I’ve seen blue field bow ties. I’ve seen chrome field bow ties. I’ve seen gold field bow ties. I’ve even seen the damn flow-tie. I really can’t say I have any strong feelings for either, but I think that more emblems could benefit from using colour like how Chevrolet has than to simply let their emblem be yet another damn bland chrome emblem. Really cant beat flowtie tho…am I alone??? What do you all think about a “lighted” bowtie option, say on select models, like an Impala or Tahoe? Its iconic in any color, I think it can be allowed to work with the trim of the vehicle. I think many of us have clearly stated we all prefer red, blue or black over the gold bow tie. This is nothing new here. Gold is just is not complimentary to all colors. The red was a very effective color for the performance models. The black option has proven popular on the Colorado. definitely. gold is not that complimentary to some colors. GMC and Pontiac always had a nice red badge to go with the vehicle. but for some reason I am not a fan of the black chevy bow tie. The gold bowrtie is pretty much ugly in almost every application. I will say that the current iteration is better though than the previous (around ’06-’12?). But still, that color just doesn’t work right with most colors. The black bowtie looks good and is complementary with most colors. I would agree with others though that perhaps Chevy should offer color choices. I prefer the gold, to me it stands out while the black just gets lost to the background. Blue on my two Lumina sedans. It has less to do with the color than with the quality. I think just like a person’s tie…the bowtie should be able to change to accent the color of the car. Make it easily replaceable and sell High Quality versions in every color you can make. I like the gold. Hate the black because you can tell when it is factory vs plastidip lol and everyone does the black bowtie now. I like the centennial bowties they are doing. I’m just glad Buick brought back the colored tri-shield. “Vote in the poll below.” Where? I prefer the gold bowtie on my Chevy Equinox. The black is okay on certain vehicles but I would not pay extra money for it like GM charges. Color of the bow tie depends on the color of the vehicle.